Bradfield Brewery Sheffield Steeldogs owner Shane Smith has taken on a new challenge and revived ice hockey in Hull. 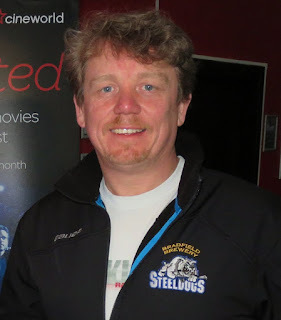 Smith, who is a director at Rotherham-based engineering firm, Electrical Switchgear Services Ltd, has owned and run the Sheffield Steeldogs for the last five seasons, with the team playing in the The English Premier Ice Hockey League (EPIHL), a development league that is secondary only to the Elite Ice Hockey League. Elite League Hull Stingrays were liquidated last month with owner, Bobby McEwan citing the loss of a major sponsor, increased operational costs, the introduction of ice-time charges as well as the shortage of fans attending matches. There was interest from parties willing to take control of the club but that failed to materialise. Moving quickly, a deal was secured with Hull City Council for a new team to play at the Hull Arena and the Hull Pirates were announced as the tenth team in the EPIHL. Smith believes that the deal is a "great thing for both Sheffield and Hull." However, the deal also saw Dominic Osman, who was set to take over as head coach of the Steeldogs, become part owner of the new Hull team. The American has now been installed as head coach in Hull. Shane Smith, owner of Hull Pirates (pictured), said: "We are very excited and looking forward to seeing the new team step out onto the ice in September. "There will be lots of announcements over the next week re logo, unveil player and coach announcements. "Yes we will have a few challenges along the way with putting the team together so late, but I'm sure the city will support us as we believe given the chance. We will have one of the top teams in the Epl in a few years. "This will also be carrying along with it the promise of developing young players from the juniors."